So Christmas came and went for another year and now January will bring many of the Christmas sales to an end. Some people may say that the best shopping bargains went straight away on Boxing Day when the sales first opened. However, this is not necessarily true because as the sales period progress, stores will always repeatedly lower their prices so that by the end you will see offers of 75% off and more. Shopping during the Christmas period, you will of course have the most abundant choice of products online. Arranging your items by category and price, everything can be neatly organized and easily accessed and viewed in detail. This is not how the websites work around the sales period of course! Stores websites cannot always accurately update products due to the fast rate with which they are selling out. Therefore, turning up in person can ensure you will be able to grab that bargain there and then. So ditch that computer and stop window shopping online! If there are items you do see online, then reserve them for store collection or home delivery sooner rather than later because at least then you can browse in person safe in the knowledge that your favorite items are already on their way to you. So if you have left it last minute to check out the sales then you are better off going to check them out in person. It’s also a great excuse for some fresh air, and after all those rich festive foods, it can only do you some good to get out and about again. It may be a well known saying, but rising early is indeed extremely applicable to having success in any last minute sales shopping! When the sales are in full swing, not only are you up against people ordering the products you may want to purchase selling out online, you are also going to be in competition with a huge crowd of other savvy shoppers who will rise and shine to get those bargains too. This can be especially annoying if you are looking for clothing or shoes for example, of which you will need a particular size.The product you wish to purchase may then be sold out online but the store may have only two pairs left. When it comes to clothes shopping and points like this, I am afraid you can’t beat them and the only way forward is to join them to get your size in person. If you are extremely organized then another tip would be to call up your desired store in advance and get them to reserve and put aside the item for you. This may not be possible during a sales period but could be worth a try, especially if it is your local store and you have contacts in retail! But for the rest of us, set that alarm nice and early and you will give yourself the best possible shopping options! You are going to be in a rush getting through the crowds when shopping during the sales periods and stores occasionally limit the use of their changing rooms during these busy times. This is not normally an issue as you could return an item if there was not time to try it on. But in addition, you often cannot return sales items because they will only have a store credit scheme or exchange policy in place. Therefore, if you are considering a purchase but you are on a budget, then trying it on in the shop floor itself on top of your other clothing may be the only way forwards. Wear a vest top underneath your usual choice of top, and leggings or a skirt to help assist you with changing in the store. Also, packing snacks means you won’t be spending any extra time or money than you want to. As well as this, taking some spare plastic or cotton bags along with you could help you carry heavier or more bulky items. 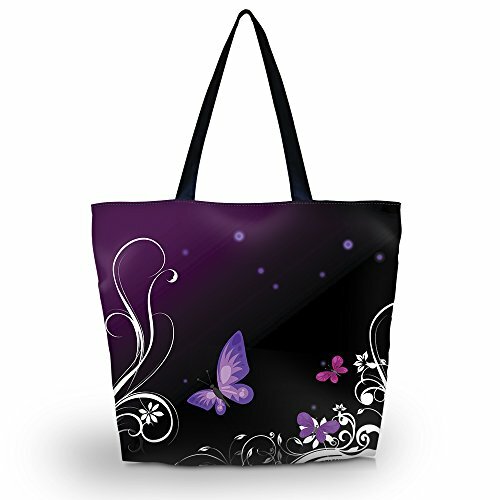 I like the dark color of this bag because dark colors can hide stains, spills and dirty marks. This is especially important if you use the bag regularly. The pretty pattern is also an extra bonus feature! By planning ahead for the days you want to visit the sales, you could also make a list of all the stores you want to visit and the order you will visit them in. As well as this, you could write a list of the specific items you need and are hoping to purchase in the sales. This can help if you are likely to be distracted. For example, how many of us have planned to walk into one store and then it is as if a magnet pulls you into the one next door as well because of the huge sales signs in the windows! Even having a list that you vaguely try to stick to will help provide some structure to your trip and will ensure you can at least remember (if not find time to visit) the stores you ideally wanted to in the first place. 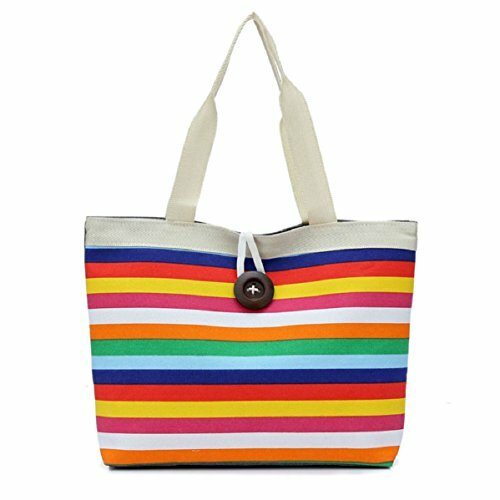 This bag has beautiful bright colors on it and it is certainly eye catching. It could also double up as a great beach bag for summer holidays too. Lastly, if you really are brave enough to hit the sales at the last minute, then please do make a budget and try to keep to it. For example, only take one credit or debit card with you on your trip or use a smaller account with limited funds in it. This way, you won’t go getting yourself into any debt or getting carried away with the big sales discount numbers that can have the affect of making your eyes go wide and the pulse quicken! So good luck bargain hunting! And remember, if you couldn’t find what you were looking for this time, then there are always the next mid-season and spring sales to look forward to!